Cheers and applause were heard from the public gallery as Rother planners refused a controversial application for housing at a meeting on Thursday (January 17). While recommended for approval, the application, to build up to 30 houses on the Strand Meadow site in Burwash, was unanimously refused by Rother District Council’s planning committee on design grounds. Committee members also raised about the loss of affordable housing on the site, which had been included in a previous outline application but abandoned following further viability assessments. Cllr Mary Barnes (Con. – Ticehurst and Etchingham) said: “My feeling about the whole thing is that, when you build houses in a community those houses should suit the community. “There is nothing community-minded about the design. It is unwelcoming, it is unattractive, it is labour intensive. Cllr Barnes and other planning committee members also criticised the accessibility of many of the proposed homes due to steps leading to the properties. Earlier in the meeting the committee had heard, from the developer’s planning agent Mike Pickup, how many aspects of the design were considered necessary due the steepness of the site. Mr Pickup said: “I think what tends to be overlooked here is that this is not a flat site. “With a flat site you can design whatever houses you like but when you’ve got a technically complicated site like this one that to a large extent dictates what houses you can achieve on the site. “Although this is two-and-a-half storeys at the front it is only one-and-a-half storeys at the rear that indicates the level of gradient change from the front of the site to the back of the site. Mr Pickup also argued that the overall design was of a good quality and had been drawn-up in consultation with Rother District Council by a local firm with extensive experience of working within East Sussex. He also noted that the site has been designated for housing for since 2006 and that the principle of development had already been established through the previous outline planning consent. 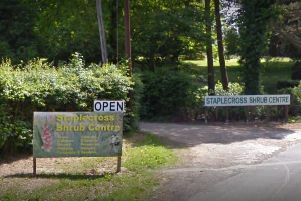 Committee members also criticised the developer for not holding a formal consultation with Burwash residents to find a suitable design for the site. The committee also heard representations on behalf of objectors from resident Robert Banks and ward member Cllr Eleanor Kirby Green, before making its decision. Following a lengthy debate the application was refused on the grounds that its design would be ‘uncharacteristic with the historical nature of Burwash’ with a number of examples cited. The application was also refused on the grounds that the developer would not be able to enter into an agreement to provide affordable housing as part of the development. Planning officers said the inclusion of the second reason for refusal would offer some safeguards to the inclusion of a ‘robust review mechanism’ should the decision be taken to appeal. This mechanism is intended to ensure the developer looks again at the viability of the site.